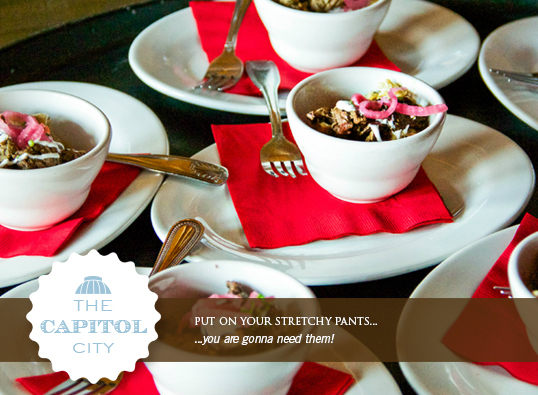 The capital of North Carolina is home to some of the most dynamic restaurants in the country. Known for effortlessly blending modern architecture with historic buildings and monuments, Raleigh showcases fine dining and eclectic eateries. Whether you’re a resident or a visitor, you’ll come away with a new appreciation of downtown Raleigh while enjoying innovative southern and global cuisine, all with an emphasis on local products. There’s something for everyone in Raleigh! 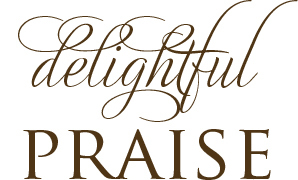 To register for a weekend tour: please click the Purchase Tickets! link at the top of the light blue bar to see the full lineup of tours or click the Book Now! buttons below for the particular tour listed. 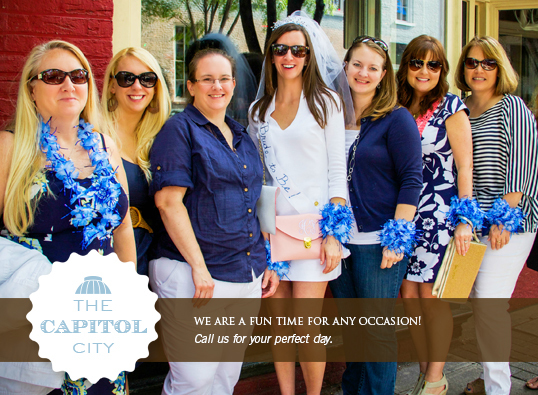 Private and custom tours can be arranged for any day or night of the week for groups. The 3:45 Friday and Saturday/ 3:15 Sunday Raleigh Downtown Dinner & Drinks Tours stay mostly close to historic Fayetteville Street and the Capitol but may walk to the Warehouse/ Gallery or Glenwood Avenue South Districts depending upon the weekly schedule. These high-spirited tours include enough food to be considered dinner by most people, and they include a number of drink pairings along the way. Stops are subject to change on a week-to-week basis based on restaurant availability. 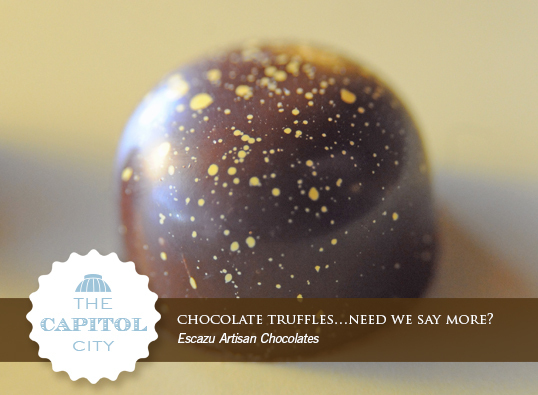 Tours include five stops, usually with the following format: three varied restaurants for savory food paired with wine, beer or a cocktail, a speakeasy cocktail bar, and a sweet bite for dessert. Please note, 21+ required on Saturdays and recommended on Fridays and Sundays. The 1:00 Saturday Raleigh Downtown Tasting Tour: A Taste of North Carolina begins on historic Fayetteville Street near the Capitol and usually walks up toward the Glenwood Avenue South district, about a 15 minute walk away. 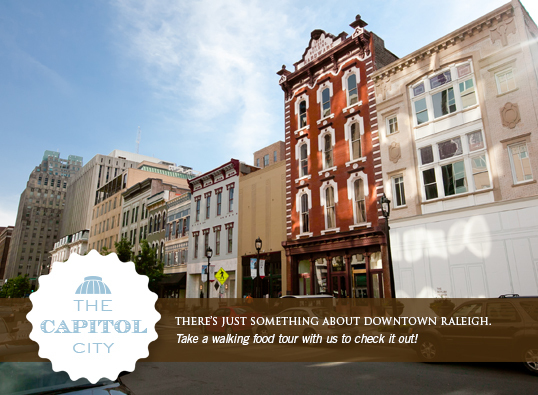 This tour is a fun and fantastic way to get to know the heart of downtown. Delicious savory and sweet tastings at unique, locally-owned restaurants show off artisan preparations of regional dishes – plus you’ll visit one of North Carolina’s oldest and tiniest restaurants! Subject to change from week to week depending upon availability. The 4:15 Raleigh’s Downtown Speakeasies: The Craft Cocktail Tour visits four speakeasy-type bars for small, handmade cocktails featuring homemade sodas/ syrups and fresh squeezed juices made from traditional recipes. You’ll chat with the city’s most talented mixologists and learn about Raleigh’s cocktail history. There are light snacks served at a couple of the bars on this tour. Please contact Taste Carolina to request a date for this tour. 21+ required. 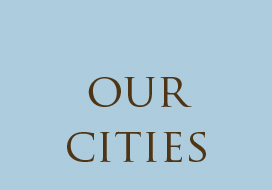 Downtown afternoon and evening tours are scheduled for Fridays and Saturdays. Please see the list below. 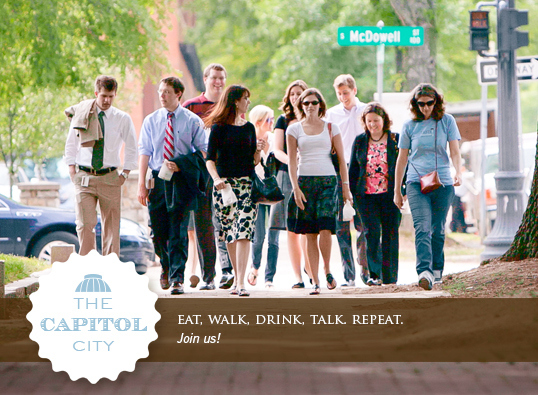 1:00 Raleigh Downtown Tasting Tours, every Saturday, $59.50 ($61.50 with service fee). 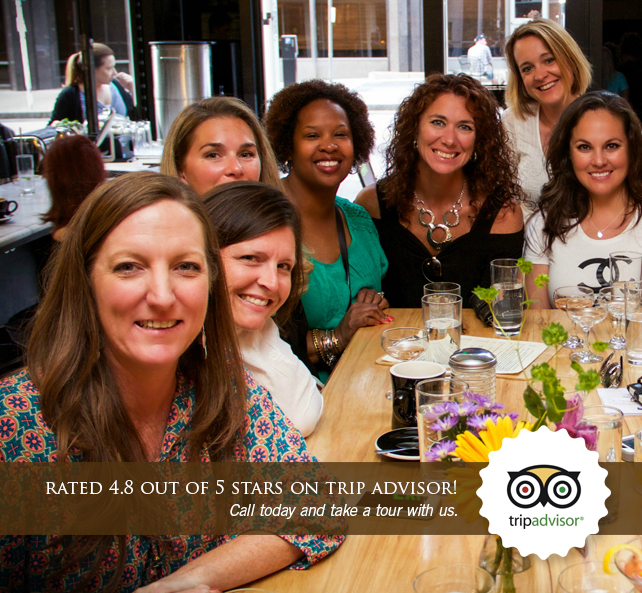 3:15 and 3:45 Raleigh Downtown Dinner & Drinks Tours, every Friday, Saturday, and Sunday, $87 ($90 with service fee) on Saturdays; $79.50 ($82.50 with service fee) on Fridays and Sundays. 21+ required on Saturdays and recommended on Fridays and Sundays. 4:15 Raleigh Speakeasies: The Craft Cocktail Tour takes place downtown on occasional Saturdays, $59.50 ($61.50 with service fee). 21+ required. 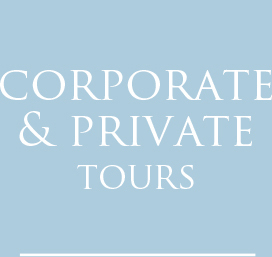 Private and corporate tours are available any day or night of the week. 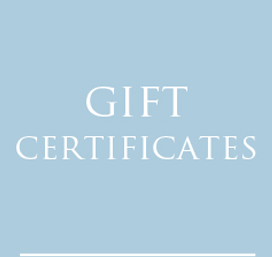 The Purchase Tickets link in this box takes you to a list of all Raleigh tours. The Purchase Tickets link at the top of the blue bar takes you to a calendar that shows available dates and tickets for all tours in all seven cities. 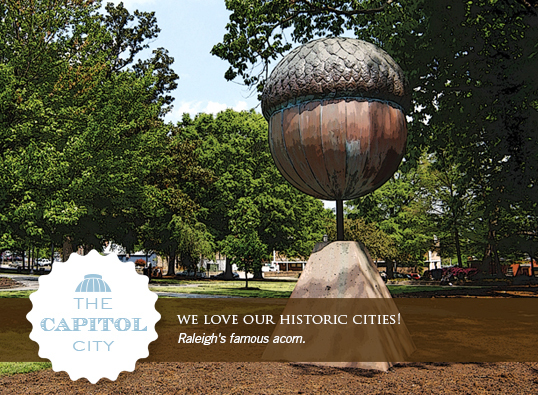 All tours (except for the Raleigh Roots Tour – see below) meet at the Raleigh City Museum, 220 Fayetteville St., 15 minutes before your tour time. This building houses the City of Raleigh Muesum (COR) and is called, The Briggs Building. It is located directly across the street from Bolt Restaurant. Parking is free on the street in downtown Raleigh on weekends. Or park in a downtown lot near Fayetteville or Wilmington Streets in the 100 or 200 S. blocks. The Alexander Square Deck and the Moore Square Deck are close by. The Raleigh Roots tour meets in front of the entrance to 18 Seaboard in Seaboard Station 15 minutes before your tour time. Parking in Seaboard Station is free.